​Who is At Fault for a Car Accident Caused by Snow or Black Ice? It is common knowledge that the number of motor vehicle accidents increases substantially when there’s snow or black ice on the roads. Black ice on roadways and snow-packed road conditions on highways, secondary roads, city streets and side streets can be extremely hazardous. Some winter weather accidents can be minor, with a small dent in the vehicle. Others, unfortunately, can end in serious injury or even death. But who is at fault for these accidents? 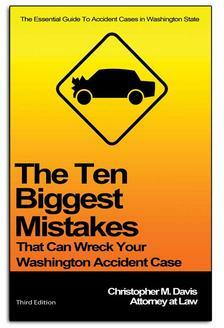 Read on to learn the intricacies and details about these types of accidents. Accidents that occur due to snow or black ice often involve multiple vehicles and bad injuries. That results in a number of different auto policies and investigations, a headache for all involved. Most people want to know whether or not their insurance will pay for damages. If another vehicle slid on snow or ice and hit you, you may be able to recover financially through your own insurance company (personal injury protection) or the other driver’s liability coverage. Many people are surprised to discover that they are still at fault if they cause a car accident during a snowstorm, are involved in a collision on icy roads or are involved in a black ice accident. In that case, your own liability insurance should pay for the other driver’s damages. You can’t blame the weather for an accident. Drivers have a duty to drive safely and appropriately no matter what the conditions. Some people want to argue that it is unfair to be found at fault when they are unable to control your car due to snow or black ice. But drivers are well aware of the dangers of driving in winter weather conditions, and the law holds them responsible when an accident occurs. Every time someone chooses to drive in the snow or on an icy road they can be held responsible if they cause an accident. While most snow and black ice is completely unpreventable, there are situations in which someone or some entity could have done something. For example, if a roadway was not designed or maintained properly, and water is allowed to drain and freeze, a municipality or organization may be held liable for an accident. Additionally, if the roadway was not salted or cleared and black ice is allowed to form, the maintenance company could be found at fault. Every driver must act with due care depending on the conditions of the roadway. So if a driver loses control of their vehicle and causes a collision with your vehicle, such as a rear-end accident, the fact that the roads were icy and covered with snow is not a defense — they may still be responsible for the damage to your vehicle and your injuries. Unless the ice and snow is considered unexpected or unforeseen, the person who caused the accident can be held responsible. Why? Because a reasonable person would know that if it is snowing and the roads are icy they should take extra care when driving by traveling at a slower speed and at a greater following distance. A reasonable person would know if their vehicle is not equipped to safely to drive in these conditions. A reasonable person would also know whether they have the kind of driving experience necessary to navigate these conditions safely. Black ice forms on the roadway when moisture freezes in a thin layer, and because it’s the same color as the blacktop, it is hard for drivers to spot. Bridges and overpasses. Temperatures drop rapidly on elevated surfaces. Drivers will sometimes see a “Watch For Ice On Bridge” sign on the highway. Cold rain. If a light rain falls and the temperature drops to slightly below freezing (32 °F) black ice may form. Shadows. Sunlight can burn off black ice before it completely forms. But in shadowy spots (under trees, tunnels, etc.) there may be more black ice. 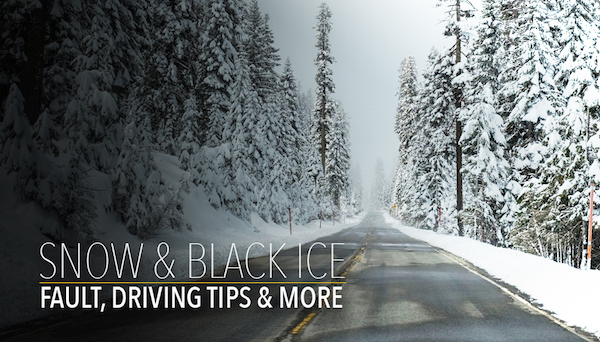 Vehicles that have all-wheel drive or four-wheel drive can still lose traction and crash due to black ice. Black ice is difficult to spot — if a patch ahead of you is shiny, slow down. According to Safe Winter Roads, over 1,300 people are killed and 116,800 are injured in car accidents on snowy, slushy or icy roads. That’s not all: every year, nearly 900 people are killed and nearly 76,000 people are hurt in crashes during snowfall or sleet. Slow down. If you are speeding and hit a black ice patch, you will have even less chance of controlling the vehicle. Increase following distance. Drivers that hit black ice take about 9 times the distance to stop they would on a dry road. Use headlights. Even in the afternoon, drivers should turn on their headlights to help them see any shiny spots on the road. Maintain tires. Bald or worn tires will help even less if you hit black ice. Turn cruise control off. If you are on the highway using cruise control and you hit black ice, it will spell disaster. Front-wheel drive. Turn the wheel in the same direction as you are skidding. Do not use your brakes or accelerator. Rear-wheel drive. Turn the wheel toward the direction you want to go and lightly hit the accelerator. All-wheel drive. If you have antilock brakes, brake normally. If you don’t, lightly pump the brakes while turning out of the skid. Is an icy or snowy road collision considered an ‘Act of God’? Learn more about the "Act of God" defense and how insurance companies use it to get out of paying for accidents. Was the at fault driver behaving reasonably when they chose to drive on an icy road? Learn more about driving responsibly in winter weather. What is my car accident case worth? Learn what kinds of damages are recoverable after a car accident. Injured in a Winter-Weather Car Accident? If you have been injured in an auto accident that took place on an icy road or under snowy conditions, you have legal rights and you are entitled to compensation for your injuries and damage to your vehicle. Contact Davis Law Group at (206) 727-4000 to get your questions answered and your legal options explained. Our injury accident attorneys can help you determine if you might benefit from an attorney, or if you'd be better off handling your case on your own.